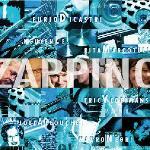 Zapping: fights against cultural restraints, prejudices, genre divisions and rigid purist concepts. It inaugurates a compository and interpretative experience in rediscovering the satisfaction of extreme incursions and sudden movements, as homage to the genius of two gurus of contemporary music: Frank Zappa and Thelonious Monk. 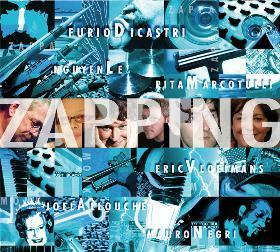 Furio di Castri, with this innovative group of musicians creates, with personal and gut-wrenching methods, a musical world where Zappa’s transgression and sense of irony meets with Thelonius Monk’s rigid and merciless writings, forming a unique universe of sounds and a surprising and unexpected bridge between lost and separate memories in our minds.